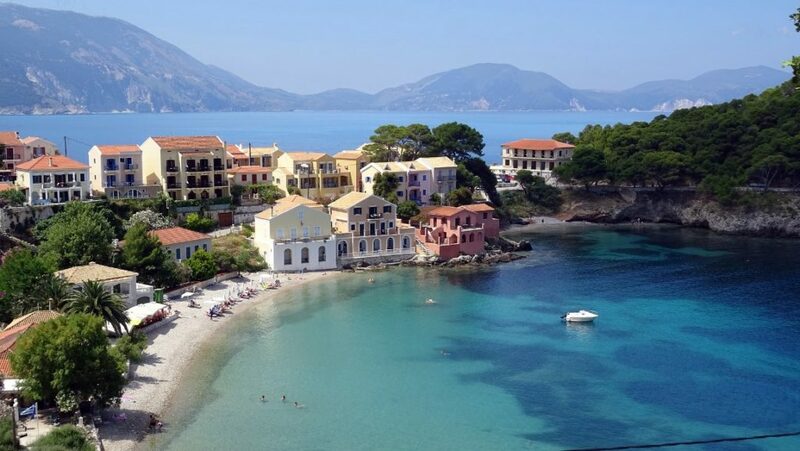 Beautiful Kefalonia has become our second-most popular destination (after Crete), overtaking all of the other islands, even Corfu, in popularity for Brits and Europeans moving to Greece. We conduct door-to-door removals to Kefalonia all year round. 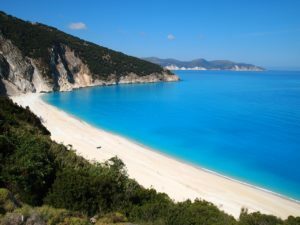 One of our favourite islands, Kefalonia has beautiful beaches, caves and mountains that go right to the water’s edge. The capital of Argostoli has all of the infrastructure of the largest Greek islands, while tiny villages like Fiskardo and Assos are incredibly beautiful. The setting for the Captain Corelli’s Mandolin is one of the most stunning and romantic Greek islands. Removals to Kefalonia are made very easy by Nomad International. Whether you are relocating to the island or establishing a holiday home there, we will meet your every requirement. Our professional team will conduct your removal the whole way, door-to-door. We do not use agents at all in Greece, so you know that it will be Nomad from start to finish. We have specialised shuttle vehicles for accessing tight roads and small villages, enabling us to ensure a true door-to-door service. We can transport very small consignments and parcels, right up to full truck loads. Our service is secure, professional and very good value. We move many British families to Kefalonia every year, as well as many others from all over Europe. As the number one removal company specialising in Greece and the Greek islands, Nomad is the perfect choice. Moving to Greece, or building a holiday home in Greece, is exciting and fun. While elements of the process can be stressful, Nomad’s professional team are dedicated to making the whole moving experience easy and stress-free. Please see why so many people choose Nomad International for their removal to Greece, or have a look at our testimonials for genuine reviews from our wonderful customers. If you’re moving from Kefalonia to the UK (or to France, Belgium, the Netherlands or other European countries), Nomad’s services are just as efficient and even more cost-effective. We can provide full packing services, professional removals insurance, and the kind, patient and stress-free attitude that our customers have come to expect. All of this with full door-to-door service of course, using our own team the whole way (not agents). Please get in touch with us using the contact details at the top of this page, and we will be happy to help you. There are regular ferries from the mainland port of Patra to Sami in Kefalonia (3.5 hours), but we most commonly take the ferry from Killini on the western Peloponnese to Kefalonia’s port of Poros (1.5 hours). There are also international ferries from Brindisi in Italy to Sami in Kefalonia (14 hours), although these are only once per week and usually only in the summer. 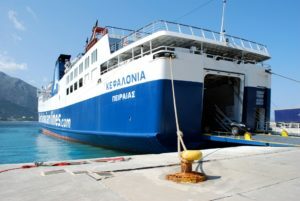 Smaller ferries connect Kefalonia with the other Ionian islands – for example there are ferries to Lefkada from the port of Fiskardo in the north of Kefalonia, and ferries to Zakynthos from Pessada in the south of Kefalonia. As with all Greek ferries, the timetables are subject to change so always check before making your plans. The most comprehensive resource for Greek ferries is Ferries.gr.